Add a modern industrial appearance to any restaurant or coffee house with these steel chairs. Comes with solid metal seat, Powder-coated metal frame, mar-resistant finish. Perfect for indoor or outdoor use. 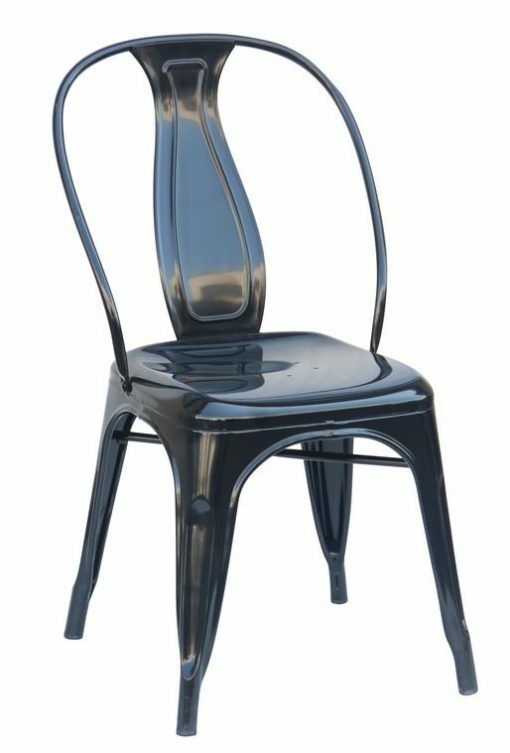 Add a modern industrial appearance to any restaurant or coffee house with these steel chairs. Comes with solid metal seat, Powder-coated metal frame, mar-resistant finish. Perfect for indoor or outdoor use. This space-saving and sturdy chair is stackable, making it great for storing and high traffic area. The legs have protective feet to prevent damage to flooring.